After October 20th, roughly one week before Eve Vegas begins, CCP Logibro is going to pull out the names of 64 Eve Vegas attendees that sign up for the Valkyrie Tournament of Champions to form 16 teams of 4. The names for the individuals that sign up for this event will be pulled out of a hat and recorded and published by CCP Logibro. (So if you sign up, you might see your name pulled in a CCP video!) These 16 teams will be going up against each other in a single elimination format, to decide who, after four victories, goes up against INVADERS. Day 2 of the tournament will feature the winners from Fanfest, INVADERS, going up against the Day 1 Vegas winners. While Invaders won’t be participating in Day 1 of the tournament, which excludes them from the possibility of winning any of the above, smaller prizes, it does mean that they arrive at Vegas with at least one of the big prizes, (listed below), already won. In addition, with them only to participate in one game (of three matches) and being able to strategize and practice since winning the trip to Vegas in April, it seems winning at Fanfest has given them the defender’s home field advantage and is the prize that keeps on giving. Some pretty sweet swag for sure. Let’s talk a little bit on the format of the matches. 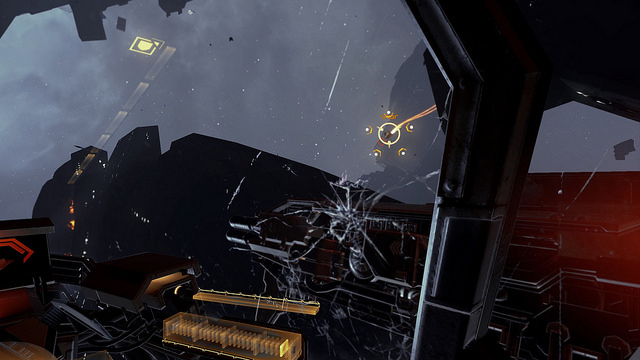 CCP has opted for the simplest format, team deathmatch on the newest map, Crossroads, released during the first major content update. Team Deathmatch (TDM) in Valkyrie is near enough identical to what appears in most games. Simply put, the team that scores the most amount of kills, wins. Game times are normally 10 minutes long; however if it’s the Fanfest format they will be limited to eight minutes. There is also a clone limit of 30 clones on each side so whichever side suffers 30 losses first, loses. During the Fanfest tournament, unfortunately, we saw two teams running down the clock using their own carriers to protect their pilots and only engage at the last moment to try and win by just scoring 1 kill. The rules do state this time that if either side do anything that CCP considers “unsporting” they could be disqualified, so hopefully this will avoid the same thing happening this time around and encourage combat between the two teams. The Wraith – This is the fighter that you get given during the opening of the game. If you’ve played the Valkyrie demo anywhere, chances are this is the ship you’ve flown and the one most are familiar with. It’s the prefered ship of veteran Valkyrie pilots due to its high skill ceiling and balance. 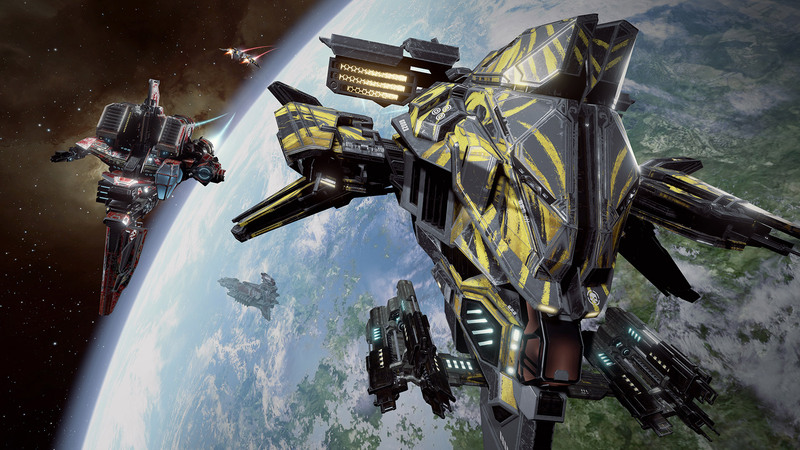 The Cyclone – This is the only heavy ship in the lineup. Its specialised at using EMS – the countermeasure on the ship that’s capable of being used defensively to counter incoming missiles, or offensively to “Stun” the target once enough shots are landed. 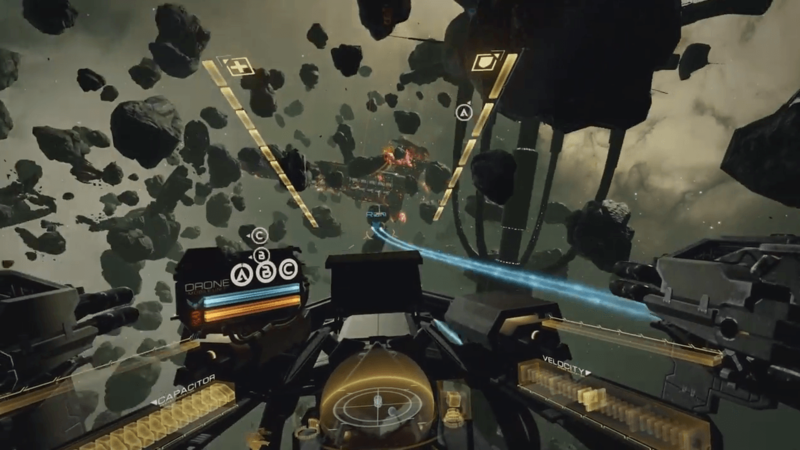 Unlike the fixed weapons on the Wraith, the Cyclone uses head-tracked weapons, similar to what you use in Gunjack, where the gun fires in the direction you look. Heavies also use a microwarp drive to zip around the map, a propulsion system that once spooled up, causes you to blast off at high speed over approximately 5km and then goes on cooldown. Heavily armored, they take quite a beating before they die and if ignored, they will punish you. Last but not least, The Revenant – This is the fire “Support” ship. Its primary weapon weapon is the same as what appears on the Wraith, however, it fires at roughly half of the speed. While it fires at half the speed, it makes up for it in other ways, it features a “Corruption beam” which increases the damage the target receives (from all sources) by 10%, meaning it can really help take targets down that much faster. It also features space mines! Mines deployed are unkillable and are a great way to punish people in a circle fight! The only thing what we don’t know as of yet is what build of the game is going to feature at Vegas, as there have been two major content releases in the last 6 months. Hopefully it will be what we are all now familiar with, but this may be subject to change if it’s the same tournament tool used at Fanfest! There has been a post put up on the Valkyrie forum about the event along with the signup link, so if you’re coming to Vegas, we’d love to see you there! Last but not least, I’m hosting a Valkyrie meet on the Sunday at Vegas, if you’ve got an interest in Valkyrie or want to meet fellow pilots, come on by! General Stargazer has been around since 2003 and served in corporations in almost every type in the universe. He has a keen interest in Eve developing story through live events and background in the lore. His pass time in Eve now is more of community interaction, documentation and video making.